Forums and Events. Food Poverty in modern Britain: A public health crisis? We are delighted to invite you to this exciting CPD accredited conference presented by a panel of leading national experts on Food Poverty. With 4 million people affected by food poverty in the UK, we would like to place a spotlight on food poverty in Britain today, and support delegates in gaining a deeper understanding of what food poverty is and the causes at an individual, societal and political level. It will also look at the emergence of food banks in Britain, reflecting on why they have come about and touch on the practicalities of how they work. Delegates will be given an insight into local initiatives that strive to impact upon food access, nutrition and poverty, allowing the opportunity to reflect on the current approaches and consider if enough is being done to tackle the growing issue of food poverty in Britain today. The aim of the conference is to bring together people working in public health, third sector, local authorities and other interested groups to critically examine the issue of food poverty in modern Britain and to openly debate the realistic options available for addressing this within the various and complex social, economic and political constraints. Professor Lynne Kennedy previously worked at Glyndwr University (2009-2013) where she was promoted from Senior Lecturer in Public Health to Reader (2011) and Head of Department for Health & Medical Sciences (2011), with responsibility for the University's partnership in the Cardiff University North Wales (Medical) Clinical School and subsequently (2012) Director of the University Research Centre for Health, Wellbeing. In 2013 Professor Lynne Kennedy was awarded an Honorary Research Fellow by Public Health Wales (2013-15) to progress research and policy developments in the area of health assets and health improvement. Also this year she was selected onto the nationally acclaimed Welsh Crucible programme for advancing leading researchers in Wales. Professor Lynne Kennedy started her career in public health as a Lecturer within the Department of Public Health, Faculty of Medicine at the University of Liverpool (1994-2008), where she contributed to the development and delivery of modules on the Masters in Public Health Programme with a special focus on health promotion and wellbeing. Since 1994 Professor Lynne Kennedy has been a long term member of the European Training Consortia (ETC) for Public Health and Health Promotion in Europe, resulting in considerable experience of public health and health improvement approaches in the European and international context. Professor Lynne Kennedy has engaged in several successful international collaborative research projects in Europe including an international study into innovative health related behaviour (lifestyle) health promoting approaches including health asset approaches. 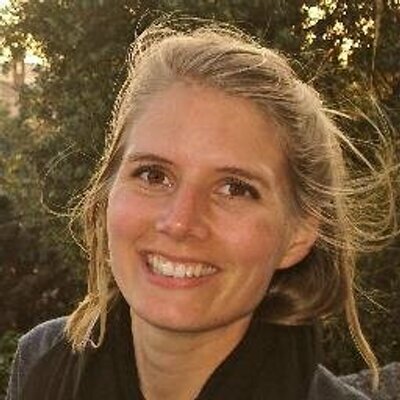 She is currently engaged in establishing international research collaboration with Nordic countries, Netherlands and Spain around exploring the use of salutogenic (origins of health) – as opposed to deficit or pathogenic (origins of disease) approaches to improving health and wellbeing through increased resilience, strengthening communities and enhancing social networks. Professor Lynne Kennedy is particularly interested in utilising participatory action research methodologies to enhance Veterans health, wellbeing and quality of life through increased opportunities for employment, meaningful occupation, empowerment, resilience and social identity. 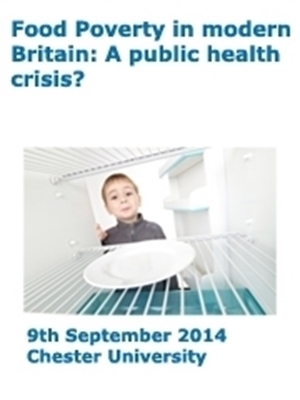 Food Poverty in the UK, a public health emergency? 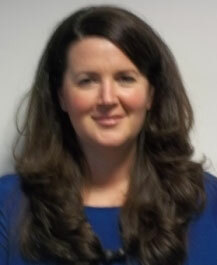 Rachel is a Doctoral Student on the PROOF team, working with Dr. Tarasuk at the University of Toronto. Her doctoral research focuses on understanding current and potential responses to address household food insecurity in Canada. 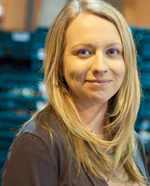 Rachel holds a MSc from U of T. Her Masters research employed epidemiologic methods to examine the relationship between dietary intake and chronic disease. She obtained her BSc in Nutrition and Nutraceutical Sciences at the University of Guelph. 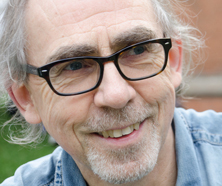 Martin is professor of food and health policy at Centre for Food Policy at City University, London. He originally trained as an environmental health officer in Dublin. After working in the north west of Ireland he developed an interest in the public health and health promotion aspects of the work. He spent some time working in the Irish and the English health services managing health promotion and public health services respectively. 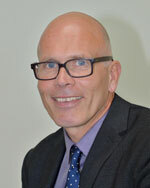 He has worked for and acted as a consultant to the UK Dept of Health, the World Bank and the World Health Organisation. He was a trustee of the Caroline Walker trust. He was a member of the original London Food Board which developed the food strategy for London. He was a member of the Olympic Food Group representing public health interests on behalf of public health in the region. He also sat on the South East Food and Public Health Group which developed a food strategy for the SE region and from which the London food strategy emerged. He currently acts as an advisor on food matters to a number of social science research groups across Europe, as well he is an advisor to the European Executive Agency for Health and Consumers (DG Sanco). He is a member of the International Obesity Task Force (IOTF) scientific committee. He sits on the safefood Irl scientific committee, which is an all -ireland body set up under the terms of the !998 Good Friday Agreement. My PhD research aims to explore the recent rise in national-level, formalised, voluntary sector emergency food provision in the UK, which is observable since the turn of the 21st Century. It seeks to evidence and understand the increase in this provision and investigate the drivers and social dynamics behind it. Importantly, the PhD will locate the phenomena and the consequences of its effects within theories of poverty, social justice and food poverty and food security. The research also aims to conceptualise and theorise 'emergency food provision' in the UK context. A key aspect of the research will be to explore the impact of this increase in emergency food provision on the wider food experiences of the recipients. Key terms: Emergency food provision; charitable food assistance; food banks; surplus food redistribution; food poverty; food security. Previous relevant research and experience I graduated from the University of Sheffield in 2006 with an undergraduate degree in Politics. After graduating I worked on regeneration and economic development issues in the both the private and local authority sectors. In 2008 I moved to Coventry University's Applied Research Centre in Sustainable Regeneration (SURGE) where I was a researcher until returning to Sheffield to begin my PhD studies in September 2011. My previous research experience has been situated broadly around issues relating to social and economic dimensions of regeneration, inequality, faith based social action and food poverty and insecurity. I have worked on projects funded by a range of organisations including the Department for the Environment, Food and Rural Affairs (Defra) and the Church Urban Fund. The genesis of my PhD is situated within work I carried out immediately prior to returning to the University of Sheffield. This research project looked into the rise of the Trussell Trust Foodbank Network. Drawing on empirical data the research explored some of the key drivers behind the growth of the Foodbank Network since it was established in 2004. A final research report and a number of further research papers are forthcoming from this work. 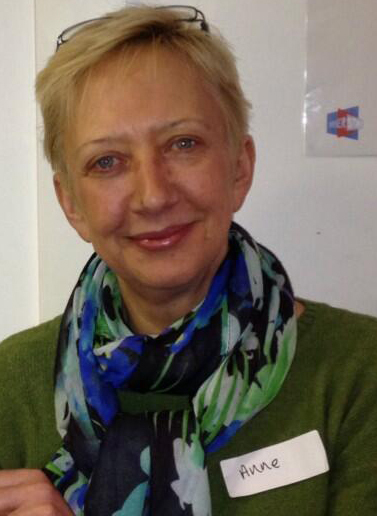 Robin Ireland is Chief Executive of the Health Equalities Group (HEG). This comprises of Heart of Mersey and its social enterprises, HM Partnerships and the European Healthy Stadia Network. Heart of Mersey was established in 2003 and is an internationally-recognised heart health charity based in Liverpool. The charity advocates for policies at local, national and international levels which enable healthier lifestyles. 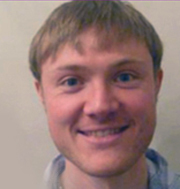 Robin gained his Master of Public Health (MPH) from the University of Liverpool in 2007. He was a member of NICE's Public Health Programme Development Group which issued guidance in 2010 on the Prevention of Cardiovascular Disease at a Population Level and is currently a member of a NICE Advisory Committee considering public health guidance on preventing disability, dementia and frailty. Robin is an Honorary Lecturer at the University of Liverpool. How Food Banks work in the UK, and who uses them? Anne was born in Scotland, studying at St Andrews' University, and began her working life as a languages teacher, teaching for 10 years in challenging secondary schools in Yorkshire and the Midlands. From there she had a few home-based years with her daughter, before returning to work in a large community-based church with responsibilities for safeguarding and pastoral care, for a further 10 years. She then chose to work for the charity the Trussell Trust, with responsibility to grow community foodbank projects in the West Midlands- from 2 to 40 in 4 years- and now oversees the North of England and Northern Ireland for the charity, managing 5 regional officers and their 150 foodbank projects. In her free time, Anne is studying for her Masters in Justice, Advocacy and Reconciliation at Redcliffe College in Gloucester, and will begin her dissertation later this year in the area of social justice. She and husband Simon also enjoy travel, reading, and visiting Oxford, where daughter, Kate now studies. There will undoubtedly also be fresh "happenings" to include by September- one being an unrolling of healthy eating on a budget across the UK, and another the implementation of a "More than Food" series of additional skills and services as part of foodbank development. In June of 2008 I completed training as a Health Counselor at the Institute for Integrative Nutrition in New York City. This 10-month program encompassed nutrition/dietary theories from the traditional to the scientific, east to west, from ancient to modern. IIN considers health to include physical activity, relationships, career, and spiritual practices as well as nutrition. Renowned figures such as Mehmet Oz and Deepak Chopra are among dozens of prominent IIN educators. I have over 2 years experience delivering nutrition presentations in a variety of settings and specialise in teaching the benefits of healthy eating and general health and wellbeing within schools and local communities. I'm currently studying an MSc in Public Health Nutrition at the University of Chester, which follows my BSc in Sport and Exercise Science from Sheffield Hallam University. In 2011 I won the Business Connection Award for my work with Healthbox CIC. 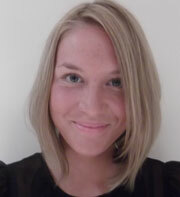 I am a Nutritionist passionate about helping people to live long and happy lives. My primary role within Healthbox CIC is promoting physical, social and mental health within a wide range of settings. The majority of our work is centred around families and individuals with multiple and complex needs, from areas of deprivation. However, I am also passionate about delivering training, and lecturing at the University of Chester. I graduated from the University of Chester in 2012 with a with a first class BSc in Human Nutrition. During my time at university I was awarded the Yakult Award for Achievement in Nutrition Professions Programmes, Biosciences Student of the Year and the Ede and Ravenscroft Award for Excellence Outside of Academia. In addition to an investment in UK health and wellbeing, I have also conducted international nutrition research in Ghana, after being granted the Denis Burkitt Study Award in 2010.